Asphalt shingles are the most common roofing material in North America. And while materials have improved and methods of producing these shingles have changed, the concept of what makes an asphalt shingle has remained the same since these shingles were invented at the turn of the 20th century. At the heart of a shingle is a mat (sometimes referred to as a membrane) of fiberglass. Think of it as the foundation of the shingle. Organic mats are also available. These are made of wood chips, recycled cardboard, and paper. 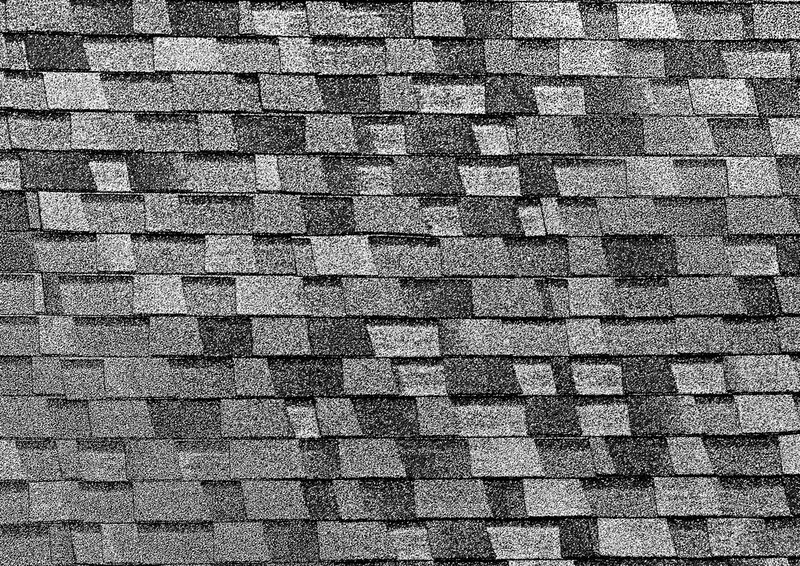 Organic shingles are unpopular among many roofers, as they too often decay prematurely. Many were recalled after a class-action lawsuit against a major organic shingle manufacturer in 2010. The shingles’ mat is produced in a long sheet held together with resins and other synthetic binders. After manufacturers produce the membrane sheet, they soak it in hot asphalt, which makes it waterproof. Shingle asphalt is made from oil, and it’s similar to road asphalt, though it is further refined through oxidation, which makes it more viscous (thicker, less runny). Shingle asphalt is often mixed with limestone and other proprietary compounds. Around a shingle’s mat are thicker layers of asphalt — one above the membrane and one below it. The asphalt in these layers are mixed with minerals (such as limestone) to help make them weatherproof. These layers are the main waterproofing part of the shingle and are what primarily protects the building underneath them from the elements. How thick these asphalt layers are will largely impact the quality of the shingles. The thicker the asphalt, the longer the life of the shingle will be. 20-year shingles are thinner, therefore, than 30-year dimensional or architectural shingles. Thicker shingles thus also have longer manufacturer warranties. During the manufacturing process, these layers are added after the membrane has been soaked in asphalt. After manufacturers have added the top and bottom layers of asphalt to the shingle sheet, and while the asphalt is still hot and sticky, they add ceramic granules to one or both sides of the sheet, depending on the manufacturer. These granules compose the top or outside layer of the shingles. Sometimes manufacturers will add a thin layer of sand before placing the granules. Granules are important for several reasons. Primarily, they protect the asphalt from the sun’s UV rays, which degrade asphalt, shortening its life. Granules also protect the shingles from debris and other wear. Furthermore, granules add aesthetic appeal, allowing consumers to choose from dozens of colors and shades for their roof. Some granules even have biocide for copper added to them, which helps prevent the growth of algae. During the manufacturing process, the granules are sometimes sprayed with a sealant to better keep them in place. After adding the granules, manufacturers then add a cellophane underneath the shingle sheet while the asphalt is still hot. The cellophane prevents the shingles from sticking together after they’re packaged. The cellophane is showered with powdered stone, which also prevents sticking. After the cellophane and powdered stone, the sheets pass through cold rollers and water jets, which cool them. An adhesive asphalt is then added to the edges of the sheets, which activates under the sun’s heat and helps the shingles to stick together once one assembled on a roof. After the adhesive is applied, the sheets are cut into individual shingles and packaged. For questions about asphalt shingles, contact E3 Roofing & Restoration in Greenwood, Indiana, today.